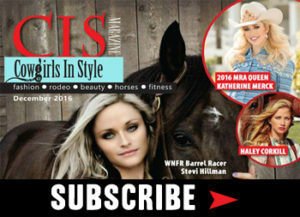 Get instant access to our current issue of CIS Magazine! 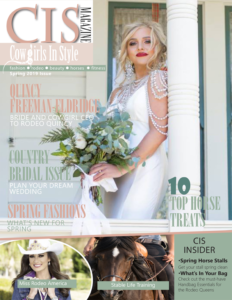 This issue includes Quincy Freeman-Eldridge’s Wedding, Country Wedding Ideas, Rodeo Queen Photo Shoot, Spring Cleaning Your Stall, Top Horse Treats, Spring Fashions, Cowgirl Fit, Cowgirl Boss and more! To order the current print issue click here!